Location, location! 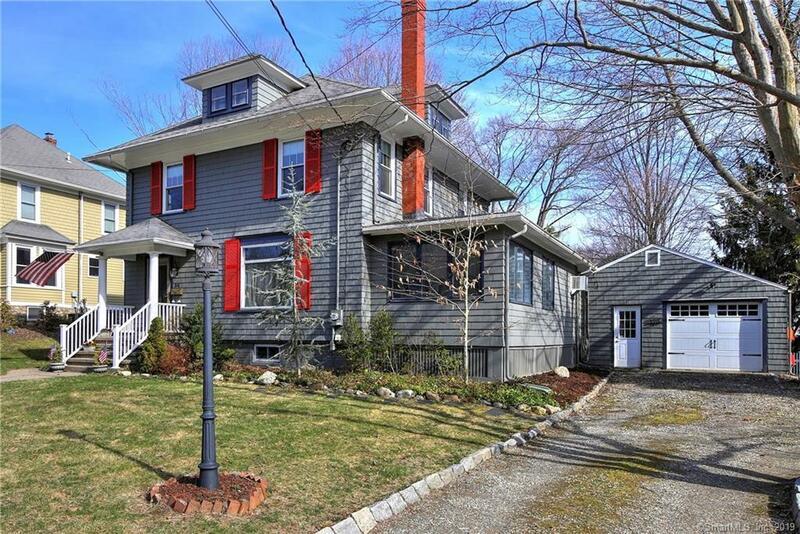 This beautiful early 20th century Colonial is within walking distance to downtown, Metro North train station, the Duck Pond & Laurelton Hall. Situated on a lovely Â½ acre lot with an inground solar heated pool, potential pool house, greenhouse, firepit and a trellis covered stamped concrete patio provides the perfect setting for entertaining family & friends. Upon entering the home through the vestibule, a spacious foyer is a welcoming feature. Just off the foyer is the formal living room w/a beautiful staircase that includes the original woodwork, a stained-glass transom window and a gas fireplace w/marble surround. The formal dining w/tin plated ceiling overlooks the trellis covered patio. The recently updated kitchen (2016) is adjacent to the dining room a includes granite counters, a breakfast bar, stainless steel appliances and new lighting. The formerly enclosed porch has been converted into a cozy family room. An added bonus is the office/bedroom with a full bath located off the family room. The 2nd floor includes a master bedroom with a newly (2018) renovated full bath and walk-in closet. All of the hardwood floors on the second floor have been refinished and the bedrooms have been freshly painted. The walk-up heated attic provides additional living space that can be used as a fifth bedroom. Additional updates and features include exterior painted (2014), high efficiency furnace (2009 +/-), water purifier, Generac generator & basement workshop.